Do you ever wonder if you really need Payor Contract Management Software at your healthcare organization? Could your organization use an extra million dollars? Payor Contract Management Systems today do far more than calculate reimbursement. They can give you a 10:1 ROI. If the system costs $100,000 you could expect to recover approximately million dollars. I put together a list of the top 10 questions you should ask yourself when looking for a system. 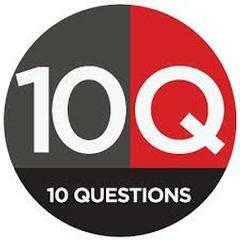 How well do you think you are doing at your organization in the following 10 areas? If you already have a software system in place, give yourself a checkup with these eleven key considerations. We have provided over 100 hospitals and healthcare providers with tools and expertise to improve their use of software to raise the bottom line. Most have recovered their software investment in the first year and gone on every year to collect millions of dollars they would have otherwise lost. We can expedite your return on your investment. We maximize your Payor Contract Management System functionality as it relates to your revenue cycle and other business processes. It’s one of those win-win-win situations. Help yourself, or let us help you tackle your most important issues. Contact me today at 615-373-1466 and get ready to explore your next step. info@bloomroad.com or on the Comments page on the website. Follow us on Linked In, Twitter, Facebook.